Obama never intended to just fade away. 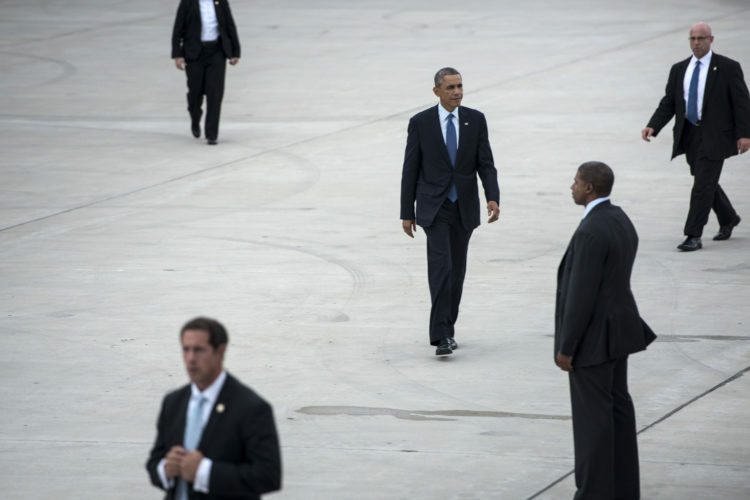 He took a vacation to gather his wits before leading an army against President Trump with his consigliere, Valerie Jarrett, at his side. Now, he has set up an actual office with approximately a dozen staffers who are tasked with reporting ‘unreported stories’ on Trump. In other words, they are there to dig up dirt on him and/or spread fake news about the President. Ah, an actual office of the Ministry of Truth. How dystopian, how Barack Obama. We have never seen a former President do this before. Label a current sitting President as an enemy within and go after him to destroy him. It should not surprise anyone in the least that Barack Obama would do this. It was the plan all along to salvage his legacy and destroy Donald Trump, so the left could seize power again. Obama has 30,000 activists for Organizing For Action on speed dial. He has a war room set up in his mansion, not two miles from the White House, to plot the demise of Trump. He’s not hiding any of it by the way. Well, maybe some of it… they are building a wall around his mansion now. 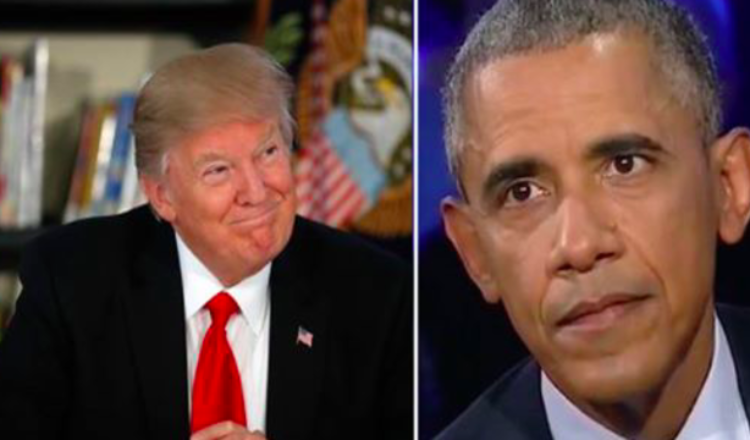 A Huffington Post article about Barack Obama’s clandestine moves against President Donald Trump held one key detail that shows just how obsessed the former president is with the man who succeeded him in office. Not only is Obama in regular conference calls with Democrat politicians and groups to plot strategies to oppose the new administration, but he has established a team in Washington to tap the rumor grapevine for information on Trump, The Huffington Post reported. The former president has “dispatched his team — more than a dozen strong, working out of an office in the West End neighborhood of Washington — to keep tabs on the unreported stories (involving Trump),” article author Sam Stein wrote. I like the level of euphemism there. Obama has “his team” keeping “tabs on the unreported stories.” In other words, they’re digging up dirt on the president. I wonder if he tried to get G. Gordon Liddy out of retirement. And the Huffington Post’s headline is just moronic: “Obama Has A Bite-Your-Tongue Policy On Trump. It’s Proving Harder To Keep.” Do you people even watch the show? Obama has never even tried to NOT attack President Trump. He was sabotaging him before he even left office. Just look at how he loosened the controls on the intelligence agencies. He weaponized them to attack Trump. I hear that Obama and Clinton both actually have robo calls going out to ‘resist’ Trump. That’s leftist speak for revolt. Who do you think is actually behind these uprisings at the town halls across the country? OFA’s partner in crime, Indivisible, also distributed a pamphlet for town hall protesters which advised them to “(s)it by yourself or in groups of two, and spread out throughout the room. This will help reinforce the impression of broad consensus,” “(l)ook friendly or neutral so that staffers will call on you,” and “(d)on’t give up the mic until you’re satisfied with the answer.” I rest my case. President Bush never dispatched a team to take down Barack Obama. But that is what Obama is doing to Trump. When do you cross the line between protesting and subversion? This is an attempted coup and a declaration of war.